The Old Man and his Door spins a delightful story of misunderstanding. 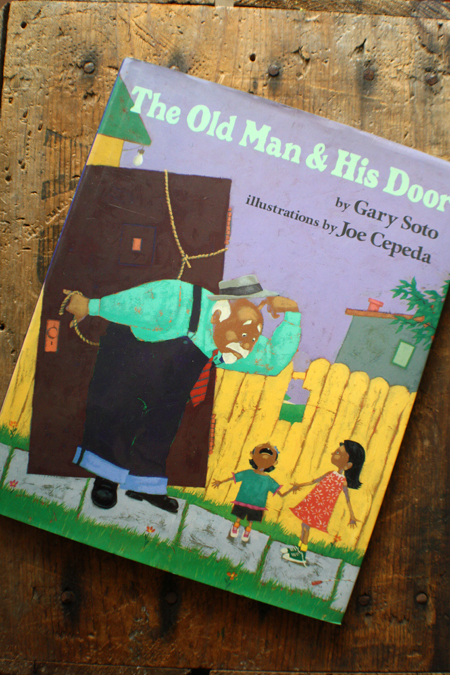 Too busy to listen to his wife remind him to bring el puerco (the pig) to the party, the old man in the story misunderstands and instead brings la puerta (the door). With colorful illustrations and loads of subtle humor, I have found this to be a wonderful read aloud for both group and individual settings. Please check it out if you can!